The number of people who initiated a claim for unemployment benefits fell to 202,000 last week — the lowest since December 1969. Workers are displaying more confidence they can find a well-paid job, since employers must offer higher compensation to attract and retain the best applicants. With a shortage of qualified workers, some companies are even "locking in" the most highly skilled candidates, hiring them where no position is currently available. The Labor Department data was released the same day that Target, one of the nation's largest retailers, with over 300,000 workers, said it would be raising its minimum wage from $12 an hour to $13 an hour starting in June, and rising to $15 by the end of 2020. With around 7.3 million vacant positions, job growth has been on a tear: The economy gained an average of 225,000 jobs a month last year as part of an almost 10-year-long economic expansion. However, with the effects of President Donald Trump's fiscal stimulus plan fading and increasing indication of a sluggish global economy, some labor market experts fear companies will tighten their belts and pull back on new hires. The Bureau of Labor Statistics is set to release its monthly jobs data on Friday. February's shock figure of just 20,000 jobs added was dismissed by White House economic adviser Larry Kudlow as a statistical quirk due to the government shutdown and "winter, seasonal issues." 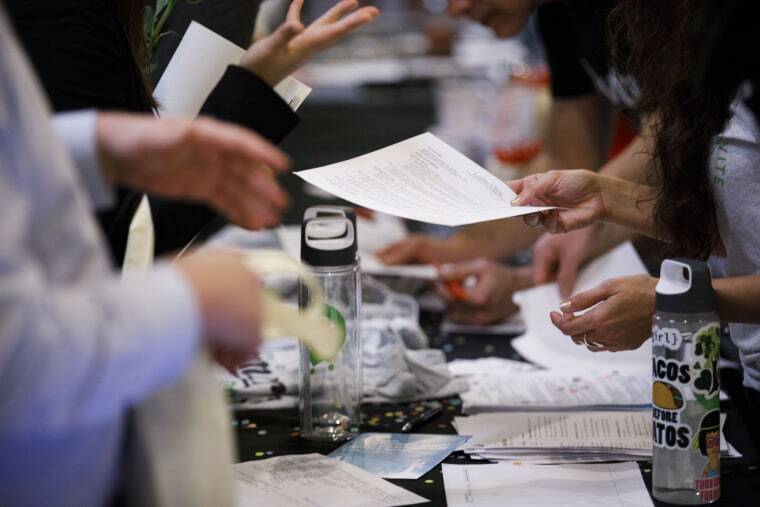 Around 1.7 million people currently receive unemployment benefits, as of March 23, according to seasonally adjusted figures from the Labor Department.